As the weather begins to cool off and fall foliage season is just around the corner, here is one of this summer’s memories: Yarmouth High School volunteers and a few of the many kids they had a chance to meet this summer through the Yarmouth Community Services “Lunch Crunch” program. YCAN would like to extend a big THANK YOU to all the people and organizations that have supported or participated in this program during its first two years. 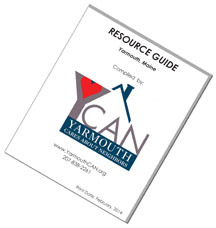 Next Next post: The Yarmouth Community Center now has its own website and logo!